A man is to appear in court following a fatal crash in Alfold last year. Police said an 18-year-old man, from Milford, has been reported for summons after he was charged with causing death by careless or inconsiderate driving following an incident in Loxwood Road in October. 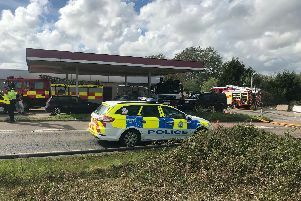 A woman in her fifties died after two vehicles collided outside the Post Office at around 7.20am on Wednesday, October 28, police said. The teenager is due to appear at Guildford Magistrates Court on Tuesday, July 5.